Social events are challenging for many people, especially in business. Entering a room full of strangers can be stressful and awkward, yet your success can depend on your ability to meet new people, have memorable conversations, and develop valuable professional relationships. Whether you’re hosting a corporate event or attending as a guest, it’s imperative that you know how to navigate every room with ease. In this seminar, Professionalism and Civility Expert Sue Jacques will share practical strategies that will help you distinguish yourself through your poise, personality, and professionalism at any event! You will leave this seminar with more confidence, a deeper understanding of business social protocols, and a set of practical networking skills that you can put to use immediately. 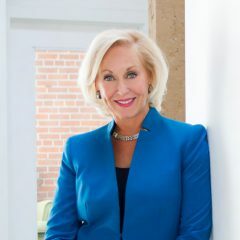 Sue Jacques is a professionalism and civility expert, keynote speaker, confidence coach, and author who is known for her upbeat presentations about personal branding, business protocols, professionalism, executive social graces, public speaking skills, and formal dining. Before becoming a speaker, consultant, and author, Sue worked for more than 18 years as a forensic death investigator at the Medical Examiner’s office. During that time she was involved in the medical investigation of thousands of violent and unexpected deaths, and learned first-hand about the value of civility, professionalism, kindness, and respect. As a result, Sue is committed to helping individuals and organizations gain confidence, earn respect, and create courteous corporate cultures.